Still in the works of making this page a ledger of what I'm up to/future events. Stay tuned! Hey Folks! 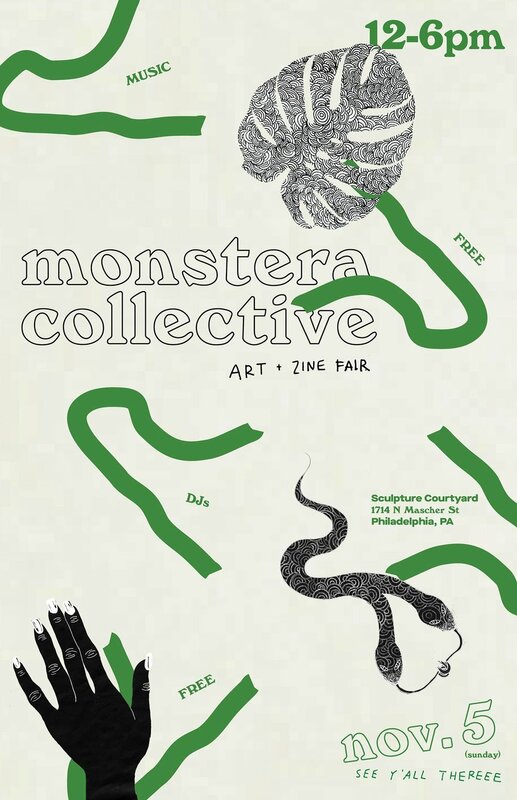 I'll be showing up at the Monstera Collectives' Art + Zine Fair this Sunday! There will be lots of amazing people turning out and selling their art! I'll be offering a small zine of some of my personal work from the past 7+ years, stuff that's never seen the light of day. Come out and support Philly's community of artists!